Change.org recently reported on the child labor in the gold industry of Peru. Peru, since the beginning of colonialism in South America, has been exploited for their vast amounts of precious metals hidden in the mountains of the Andes. After the fall of the Incan empire, the Spanish conquistadors were hungry for more wealth and used native people as slaves to mine silver in order to further enrich their empire. Today precious metals and slavery continue to have an enduring relationship. The Peruvian Sierra region, the main source of gold in the country, is the focus of Change.org's campaign to stop the exploitation of men, women and children who are forced to work in treacherous, inhumane conditions everyday so that we, Americans, can buy cheap bracelets and earrings from our favorite air-conditioned retail stores. "Children as young as five have been found working in gold mines, and children under 14 are regularly forced to handle dangerous chemicals and perform backbreaking labor," explains the Change.org campaign. In addition to being exposed to toxic chemicals like cyanide, children often are expected to handle dynamite to extract the gold from the mountains. Peru is not the only country known for slave labor in their gold industries. 17 other countries in Asia, Africa and Latin America force young children and adults to spend hours upon hours mining for gold that is in turn sold to companies in the United States. According to Change.org, gold was "the most frequently named commodity appearing on the US Department of Labor's List of Good Produced by Child or Forced Labor." As a result, Earthworks organized a campaign called "No Dirty Gold" which encouraged companies to buy gold from sources that do not use child labor or slavery, or cause significant environmental damage. 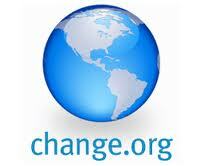 Change.org says that "70 national and international jewelry retailers have signed onto (the campaign)." However, Target has refused to agree to these terms. Interestingly enough their chief rival (and usually a major laggard in human rights issues), Wal-Mart, has already pledged to source their gold from cruelty-free producers. After "tens of thousands" of letters from Change.org members, Target has publicly agreed to "consider" joining Earthworks' campaign. As we all know, this is a weak statement and another way to avoid changing their routine to buy products that are slave labor free. Sign the petition and tell Target that you don't support child labor and slavery. For more information about the "No Dirty Gold" campaign, visit Earthworks: No Dirty Gold. If we don't act, Target won't either. Each dollar we spend at a corporation like Target is vote in agreement of their practices. The people of Peru deserve better, and we must demand more of our companies and their products.